The service is a free service offered by GigaMedia Ltd and only provides information. No legally binding agreement will be completed between user and giga-sport.co.uk. Any legally binding agreements with any other third party is on the sole discretion of the user. This web site links to other sites with which GigaMedia Ltd has no relationship. We make no representations or have any liability with respect to these other sites. 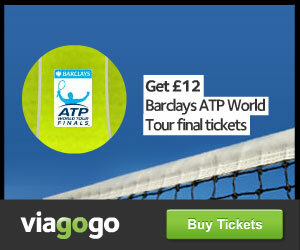 Please note that giga-sport.co.uk is not a promoter or ticket office nor does giga-sport.co.uk sell any tickets. All ticket partners are liable for their tickets availability. All prices shall be issued by the appropriate ticket providers and may differ from the printed price on the ticket. All prices include VAT and exclude shipping fees. Giga-sport.co.uk is explicitly not responsible for unannounced or announced pricing changes, ticket availability, delivery or enquiries. In no event shall giga-sport.co.uk or content providers be liable for any damages whatsoever, including but not limited to any direct, indirect, special, consequential, punitive or incidental damages, or damages for loss of use, profits, data or other intangibles, or the cost of procurement of substitute goods and services, arising out of or related to the use, inability to use, unauthorized use, performance or non-performance of this website, any GigaMedia Ltd site or the services, even if giga-sport.co.uk has been advised previously of the possibility of such damages and whether such damages arise in contract, negligence, tort, under statute, in equity, at law or otherwise.